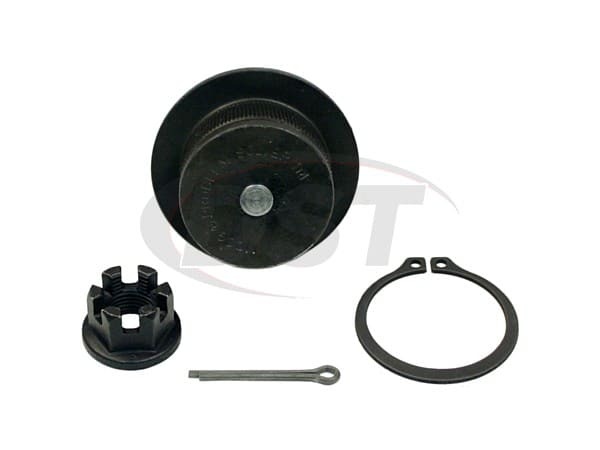 The weak OE plastic bearing has broken down in your front lower ball joint in your Ford Transit Connect. You've tried to grease the ball joint, but there is a significant amount of tightness around the part which makes it impossible. You can't get rid of the contaminants that have invaded your suspension. 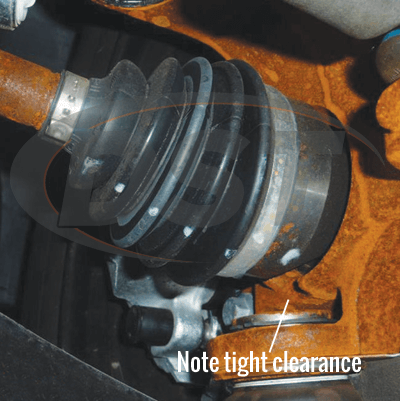 The OE front lower ball joint uses an internal torx at the end of the stud, requiring a second hand when removing. This OE part obviously comes with several problems. DST has the answer to all of these problems! 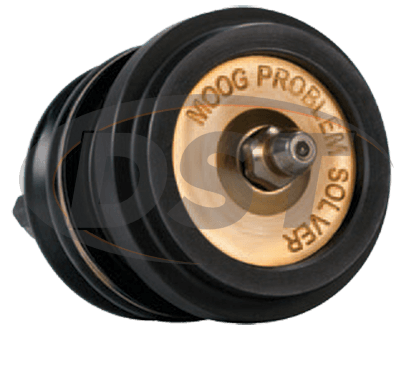 Moog's problem solver line has a solution for you. Moog's problem solver parts target factory defects or poor original design, replacing them with a better more durable part.  In the OE design on the left, you can see the flaws that cause the problems. 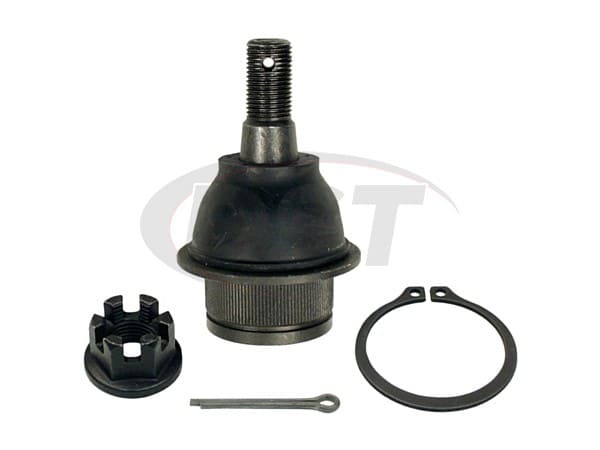 For the 2010-2013 Transit Connect Moog has designed a front lower ball joint replacement that is more durable than the original design: K500191. With an all-metal design and premium sealed boot that prevents contamination, K500191 has been engineered to withstand the punishment of daily use in commercial service vehicles. The all metal design evenly transfers the load through the gusher bearing, allowing for less stress on the front lower ball joint. 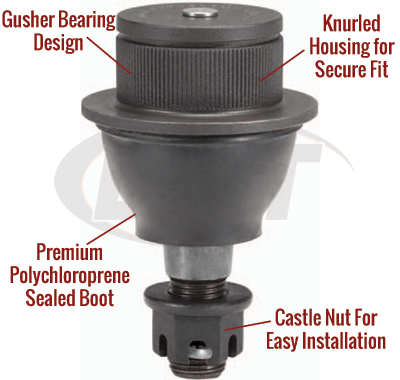 The K500191 has a polychloroprene sealed boot to keep contaminants out. It's hardened, metal bearing has been designed to withstand excessive wear, unlike the OE design with plastic bearings. To ask any questions about this or another part, please feel free to call the DST customer service team. What is the stud thread for part number K500191? Part number K500191 has a stud thread of M16x1.5.